Rencently, Liri Tent has held many succussful cases for some big events. Like the Longines Beijing Master, Marathon in Changsha, ITTA in Bejing and more. 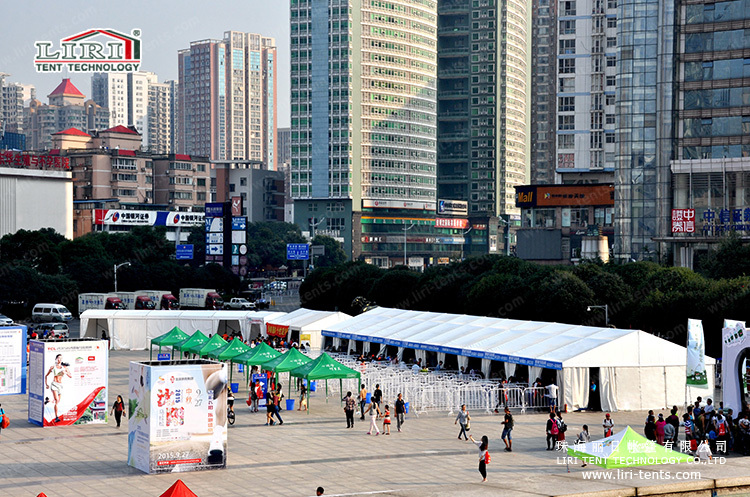 Liri Tent have clear span tent from 3m-70m, with different shapes and multi-functional. It can not only used for Marathon, but also for some events, partys, wedding, church, warehouse and more. Tents have become popula movable construction in the modern world. Tents are only convenient but also economical. 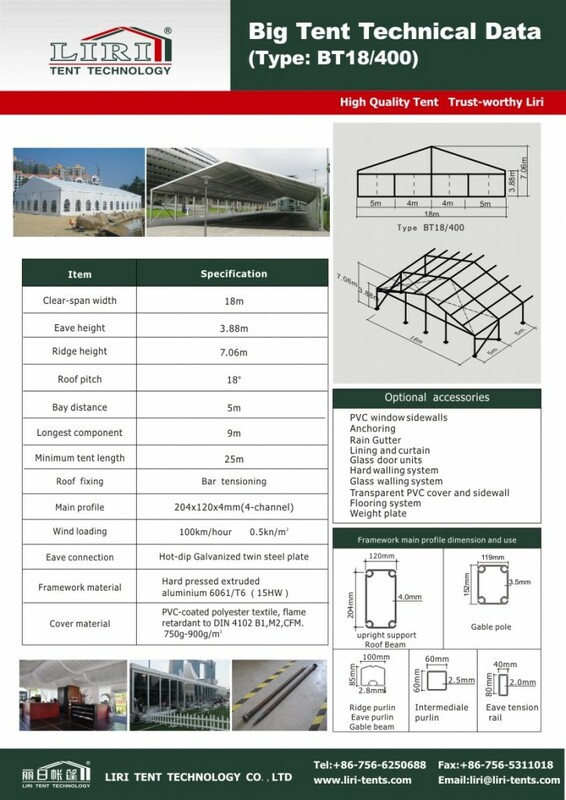 Liri 20m clear span tent is made of 204x120x4mm main profile, which can fix with different accessories, like the ABS walls, glass walls, sandwich walls for warehouse, normal PVC sidewalls, glass door, flooring system and more. This size is also a very popular size and economical. Like for 800 people, 1000 people, 600 people and more. For the technical data, please check the following picture.